or “He took my toy! She hit my bear! I want a potty! I want a cookie! I want to stay up! I want, I want, I want, me, me, me, me, mine, mine, mine, mine, now, now, now, now…” when watching a movie in public spaces because you might “ruin another patron’s experience” or whatever else they tell themselves so they can sleep at night. (Pat yourself on the back if you recognize those last two. Also tweet me so we can be internet friends.) Alamo Drafthouse, however, is promoting the whole talking-during-movies thing with a quote-along event at the Ace Hotel on July 27. 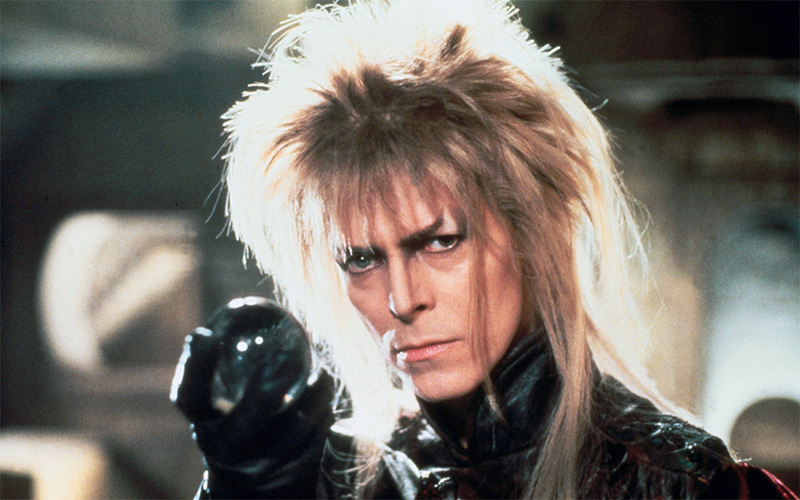 The film on tap: Jim Henson’s Labyrinth. And that’s why this movie is awesome. Is it as widely quotable as, say, Clueless or The Princess Bride? Admittedly, no. But what it lacks in As ifs and My name is Inigo Montoyas it makes up for in song. It is a campy, delightful rollercoaster in the league of The Rocky Horror Picture Show, only with puppets and some bona fide Bowie bangers. At the screening at the Ace, song lyrics and subtitles for memorable quotes will appear to encourage crowd participation, and Alamo Drafthouse is even kicking the experience up a notch with some immersive add-ons: you’ll get to blow bubbles during Sarah’s masquerade dream sequence and get a whiff of the Bog of Eternal Stench thanks to scratch-and-sniff technology. Stoked about the former, nervous about the latter. You’ve got a few more weeks til this all goes down (tickets are on sale now), but it’s never too early to start rehearsing. All together now: YOU HAVE NO POWER OVER ME.